AUSJEEPOFFROAD.COM Jeep News Australia and New Zealand - Website live! WHAT IS THE JEEP JAMBOREE? 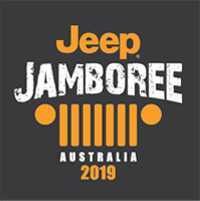 The 2019 Australian Jeep Jamboree is a community and enthusiast organised event, aimed at bringing Jeeps from all around Australia together for an epic 5 days of camping, touring and wheeling, in beautiful South East Queensland. WOODFORD SHOWGROUNDS OPEN FOR ENTRY AT 12:00PM FOR INTERSTATE AND LOCAL ARRIVAL. EARLY BIRD BONFIRE NIGHT. GUIDED TOURING, MODERATE AND HARD TRIPS. CAMP WIDE EASTER EGG HUNT IN THE MORNING. AFTERNOON TOURING AND MODERATE TRIPS. FULLY CATERED DINNER, PRIZE GIVEAWAY AND AWARDS NIGHT. FINAL MORNING OF JAMBO. LETHARGIC CAMP PACK-UP WITH SORE HEADS FROM PREVIOUS NIGHTS CELEBRATIONS. FEEL FREE TO EXPLORE THE REST OF BEAUTIFUL SOUTH EAST QUEENSLAND, FRASER ISLAND IS ONLY 2.5HRS AWAY!